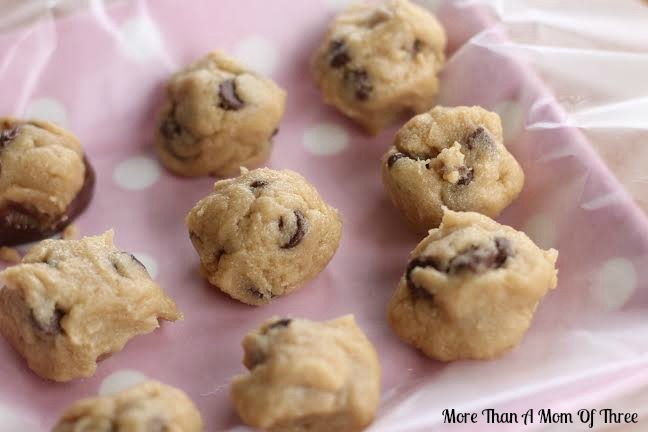 Who doesnt love to sneak a nibble (or a giant spoonful) of cookie dough? Before it even goes into the oven it is screaming out your name. However, you usually have to sneak and do it in secrecy-raw eggs, and everybody gets all crabby when you double dip in the food. But this cookie dough is meant to be eaten!! It is made for just that- gobbling up right out in the open. 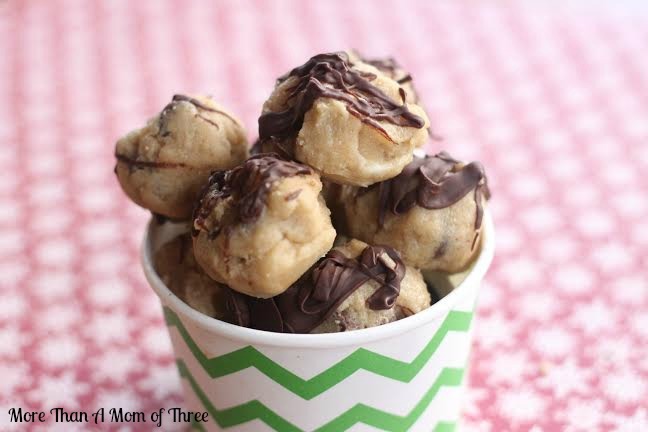 These Chocolate Chip Cookie Dough Truffles are egg free and topped with a drizzle of chocolate-amazing flavor that makes it hard to share them. 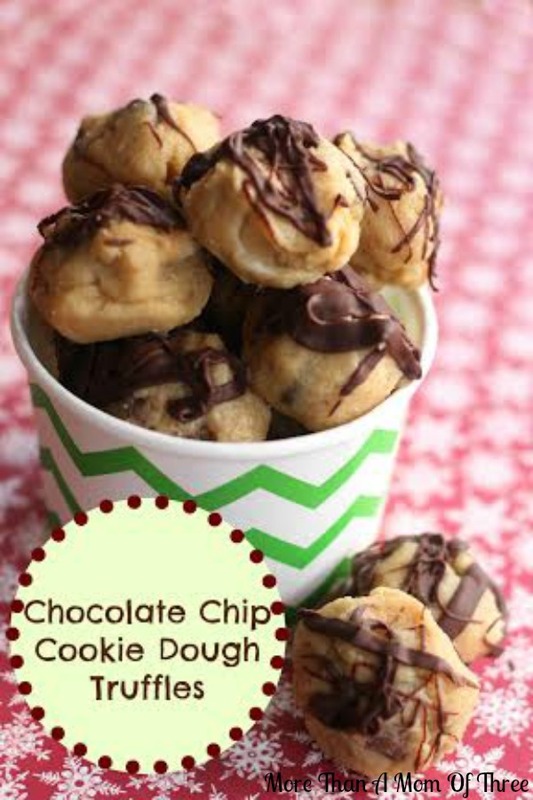 Just make a double batch and keep yours in the back of the refrigerator. Perfect to add to your Christmas dessert table or for a nice gift. Place flour in microwave and heat for about 1 ½ minutes, stirring every 20 seconds or so- this will kill any organisms in the flour and also cut the raw flavor of flour out. 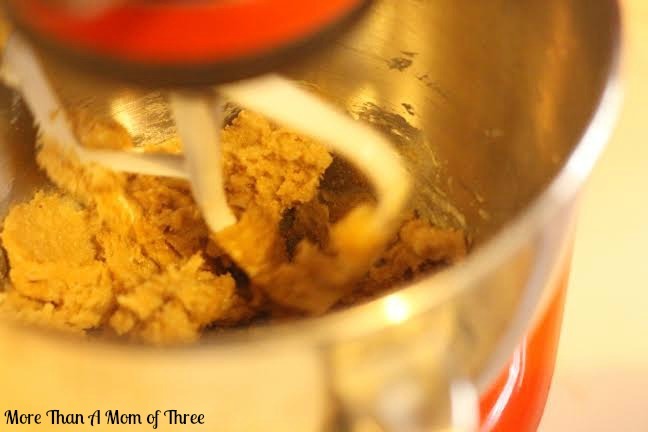 Beat butter and brown sugar in a stand or hand mixer until creamy and fluffy. Add vanilla, then flour a little at a time until fully incorporated. Gently blend in all but ¼ cup of chocolate chips. Cover bowl, and refrigerate for 30 minutes to chill. Roll dough into 1” balls, place on waxed paper. 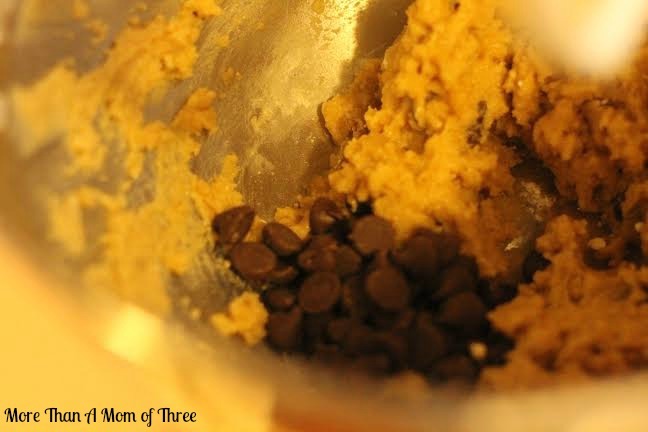 Place remaining chocolate chips in a microwave safe dish and melt in 30 second increments until smooth. 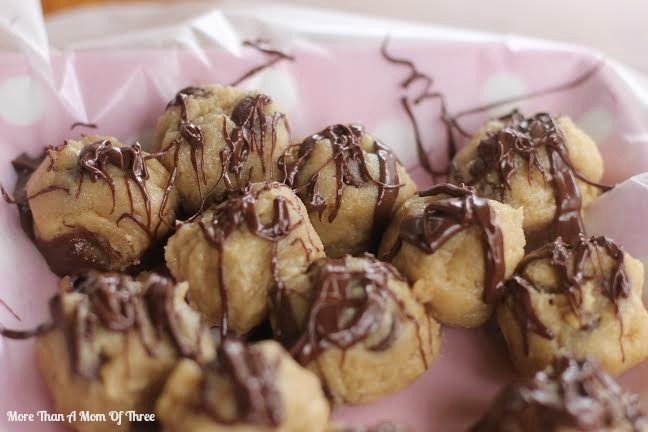 Use a fork, dip it in the chocolate, and drizzle all over tops of cookie balls. Place back in the refrigerator in an airtight container to store.